Whether as a means of satisfying the Stage 2 “meaningful use” requirements of the HITECH Act, or in an effort simply to enhance the efficiency of their practices, many of our clients have been implementing electronic medical records software that includes patient portals. 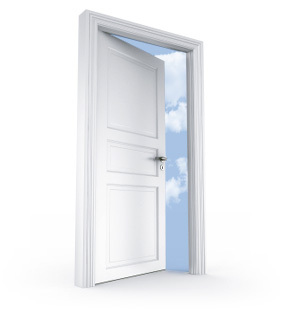 A “patient portal” is an electronic doorway between patient and practice. Portals often allow patients to check and download their own treatment records, and to use digital messages as a means of communicating with clinicians. Portals can be awesome tools with which to enhance your practice, but they need to be implemented thoughtfully. A portal is often an excellent way in which to add operational efficiencies that reduce costs, increase patient satisfaction, and increase positive outcomes; BUT, if not carefully monitored, they can become inadvertent points of entry for information, the meaning of which can only be appreciated when delivered in a face-to-face office visit, where other aspects of the patient’s condition would be evident (e.g. pallor, swelling, confusion). Portals should be limited to more benign encounters, such as: patient registration, financial clearance, medical history, appointment scheduling / confirmation, specialty referrals, notification of test results, online bill payment, non-narcotic prescription renewals, follow-up of specific conditions for which there has been a course of in-person treatment that included an agreement as to the use of the portal for follow-up. Identify the proper subject matter to be communicated through the portal and, just as important, the types of communications that should NOT be made through the portal. In addition to communication, what other functions the portal will make available to the patient (e.g. what records can patients view, can they download, can they transmit to other providers, refill prescriptions, help practice to monitor an ongoing condition, etc.). The portal is highly secure, more secure than conventional email, and should be the only way that patients should convey information to the practice other than in-person or, perhaps, on the telephone. Everything conveyed to the practice through the portal will become part of the patient’s medical record. Not only the physician, but other clinicians and practice staff may read communications made through the portal. How quickly, and in what format, will the practice respond to patient communications made through the portal. Whether and on what terms the practice will allow access to records of its minor patients. A primer, as simple as possible, on how to effectively use your practice’s portal. Portals can be awesome tools with which to enhance your practice; but they need to be implemented thoughtfully, and in conjunction with patient training. This entry was posted in FHLF Monthly Newsletter, health information technology, Healthcare Law, Healthcare Reform, HITECH Act, Medical Practices, PPACA and tagged David Hirshfeld, healthcare reform, HITECH Act, meaningful use, Obamacare, patient portals. Bookmark the permalink.